The IPC Eagle 28 inch manual push sweeper is the perfect all-purpose manual walk-behind sweeper for large area applications. 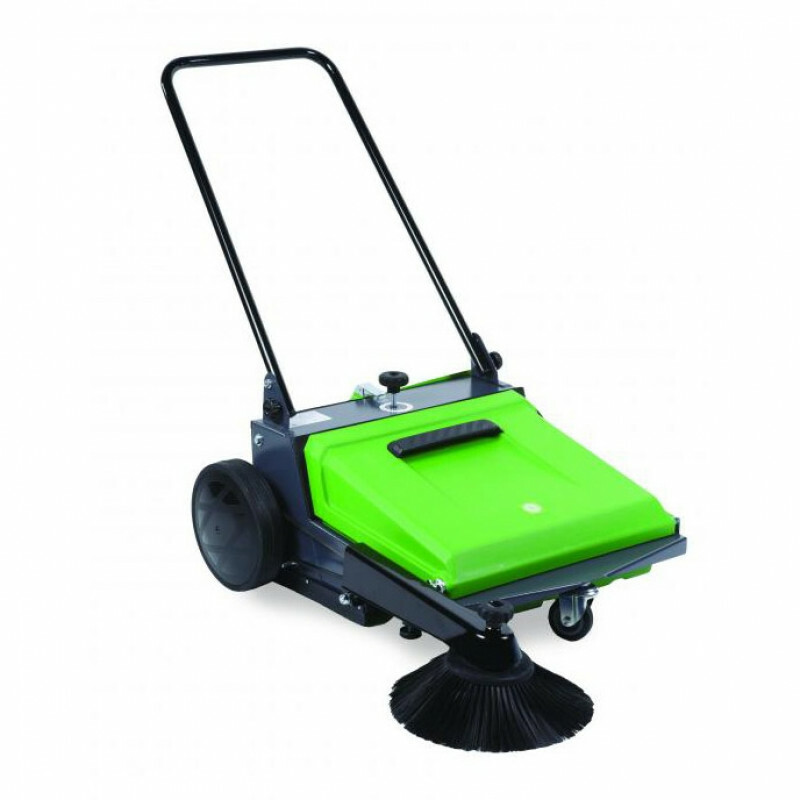 With its standard 10 inch side broom, this durable push sweeper cuts a 28 inch cleaning swath, cleaning up to 27,000 square feet per hour. The EAG-TK500M also features a rear hopper to capture light debris, further control dust, and making dumping easier than most of our standard walk behind sweeping machines. 30" x 37" x 38"
Customers who were interested in the IPC Eagle 28 inch Manual Push Sweeper were also interested in the following items. This is a review for the IPC Eagle 28 inch Manual Push Sweeper.